It is known that scar tissue, which forms following spinal cord injury, creates an impenetrable barrier to nerve regeneration, leading to the irreversible paralysis associated with spinal injuries. Scientists at Liverpool and Glasgow have discovered that long-chain sugars, called heparan sulfates, play a significant role in the formation of scar tissue in patients with this type of injury. Research findings have the potential to contribute to new strategies for manipulating the scarring process induced in spinal cord injury and improve the effectiveness of cell transplantation therapies. Scarring occurs due to the activation, change in shape, and stiffness of cells, called astrocytes, which are the major nerve support cells in the spinal cord. 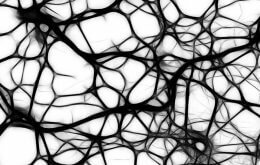 One possible way to repair nerve damage is transplantation of cells from peripheral nerves, called Schwann cells. The team, however, found that these cells secrete heparin sulfate sugars, which promote scarring and reduce the effectiveness of nerve repair. “We found that some sugar types promote the scarring process in spinal injury, but remarkably other types, which can be chemically produced in the laboratory by modifying heparin, can prevent scarring. The research, funded by the Wellcome Trust, is published in the Journal of Neuroscience.